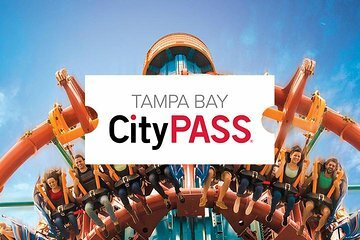 Skip the ticket lines and head straight for the entrance with the Tampa Bay CityPASS, including one-time admission tickets, detailed venue information — including hours of operation, transport options and contact details — coupons and a map. Visit the attractions in any order. The CityPASS booklet is valid for nine consecutive days from the first day of use. See Busch Gardens® Tampa Bay, the Florida Aquarium, ZooTampa at Lowry Park and the Clearwater Marine Aquarium, home to Winter from Dolphin Tale movies. Finally, pick from one of two Tampa area attractions: the Museum of Science and Industry, a nonprofit science museum with 450 interactive exhibits and an IMAX theater, or explore the Chihuly Colletion at Morean Arts Center, showcasing the studio glass of American glass sculptor Dale Chihuly. The Busch Garden was okay even though there was a lot of rain that flooded the area for a short time. The Florida Aquarium was a lot smaller than what I expected so was the Lowry Zoo. The Clearwater aquarium was a disappointment for me, there was very little exhibit. We loved the Tampa Bay City Pass. It was well worth it. My advice would be: Busch Gardens and Lowery Park Zoo are worth a full day. The aquariums and MOSI are a half day at most. If you have to skip one make it the Clearwater Aquarium. When the Zoo says they may close for inclement weather they mean it - and 55 degrees and cloudy is inclement. We had to come back to the zoo the next day, which was the last day the passes were valid, but we really enjoyed it. If you are not familiar with Tampa, keep in mind that it is a big city with all the traffic headaches and driving challenges that go with it. We actually tried an Uber for the first time! A great value! We visited 4 of the 5 venues. Bush Gardens was fun! The Chihuly Collection truly amazing. The glass blowing demonstration was wonderful to watch. Value for money. Good number of attractions! Go for it! We had an amazing time and really enjoyed the Tampa city pass. Every where we used the city pass we were treated like royalty. We would definitely consider using this service and pass again. Thank you.